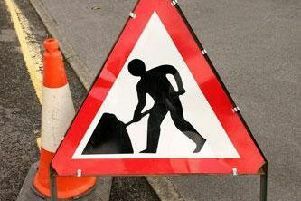 Drivers are warned of serious delays as work to complete the “missing link” on the M8 in North Lanarkshire begins tonight (Friday, February 17). The work will affect the M8/A8 approach to the Bailleston Interchange and will last 10 weeks. Delays are expected on the M8 corridor, the M73 and on local roads near the interchange. The works are part of the wider M8/M73/M74 improvements project. About £500m is being spent on upgrading the roadwork in the central belt and the link between Glasgow and Edinburgh. Traffic will be diverted via the newly-aligned A8 near Bargeddie from 20:00. Transport Scotland said the diversion was necessary to connect the newly-built M8 to the existing motorway at the Baillieston Interchange. It has been predicted that journey times along the route could be cut by 20 minutes during peak times.